Lid’sNote: Fred Lucas’ book Tainted by Suspicion: The Secret Deals and Electoral Chaos of Disputed Presidential Elections,” examines some of the rigged/contested presidential elections in American History. It is a book I enjoyed and recommend to everyone. Since the election some have complained that “fake news” helped Donald Trump to win the election, and just recently Buzzfeed and CNN got caught reporting “fake news” about President-Elect Trump. As Fred explained in Tainted by Suspicion, and in the post below, “fake news ” in presidential campaigns are almost as old as the presidency itself. Fake news was prevalent during the presidential race, and it might well have influenced the outcome of the election by pushing fear-mongering and conspiracy theories on an unsuspecting electorate that couldn’t discern truth from rumor. 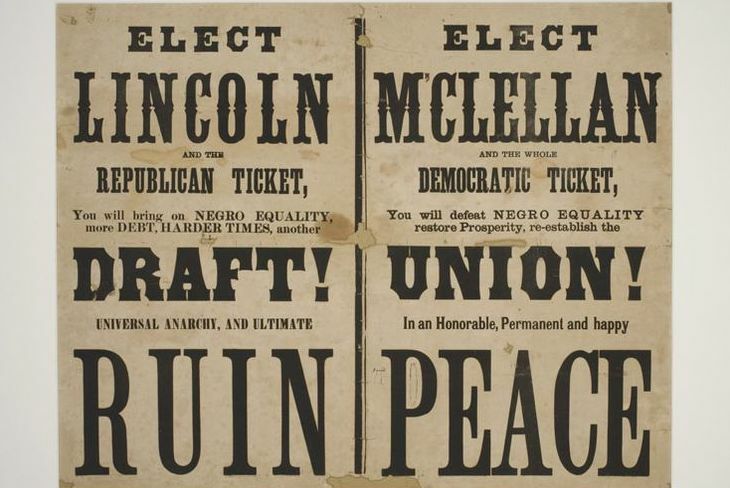 I’m referring, of course, to the 1800 election. I won’t bother posing the hyperbolic question of whether democracy and a free press can survive, because obviously both did. While Federalists and Democratic-Republicans bemoaned the ugly contest between John Adams and Thomas Jefferson, fake news wasn’t a prevailing complaint as it is now. 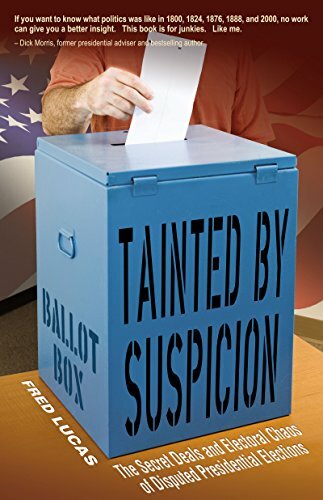 But, as I point out in Tainted by Suspicion: The Secret Deals and Electoral Chaos of Disputed Presidential Elections, it wasn’t unusual for the news media to report things that weren’t true to advance a political agenda in the early days of political coverage. It turns out that much of the fake news in 2016 came from Russian propagandists, according to the intelligence report released Friday, to “denigrate” Hillary Clinton. In 1800, accusations swirled about foreign espionage as well. Jeffersonians claimed that Adams had conspired to reunite the new country with England, while Federalist warned that Jefferson wanted to turn the country into godless post-revolutionary France. Long before the Truthers and Birthers came the theory that went like this: President Adams was conspiring with the Royal Family to reunite the United States of America as a colony of Britain by having one of his sons marry the daughter of King George III. The original story included George Washington, but since Washington could do no wrong in the eyes of most, he was portrayed as a good guy. After making two prior pleas that Adams rejected, Washington came to his successor wearing a Revolutionary uniform and threatened to stab him with his sword if Adams went forward with the diabolical plan. If only there had been an internet in those days – who knows what other great stories of Adams and Jefferson could have emerged? Still, newspapers were shockingly vibrant. As for how discernible the public was then as compared to now, it’s difficult to say. A few websites might have spread phony, outlandish stories that some folks believed in 2016, just as early American newspapers did in 1800, and every other presidential election. The Jacksonian press could be also be pretty wily. Much of the intelligence report released regards anti-Clinton information in the “Kremlin’s principal international propaganda outlet RT (formerly Russia Today),” which had a cozy relationship with Julian Assange and WikiLeaks. The Kiselev magazine means absolutely nothing, but RT actually has a significant audience in the U.S. and has as hosts some big media names such as Larry King and Ed Schultz. Nevertheless, it’s no secret to the left or right that RT is a propaganda arm of the Russian government rather than a news organization. Bottom line: Just as in 1800, Federalists who were inclined to believe the worst about Vice President Jefferson believed news reports that his administration would bring unspeakable horrors, while only rabidly partisan Democratic-Republicans would have believed that President Adams was conspiring with King George. The downside to democracy and a free press is that free people are free to lie. The upside is that without either, there would be no check on government’s lies. The truth about fake news is that it’s as old as news – and likely never swayed very many people to change their votes. Fred Lucas, author of Tainted by Suspicion: The Secret Deals and Electoral Chaos of Disputed Presidential Elections” is the White House correspondent for The Daily Signal.